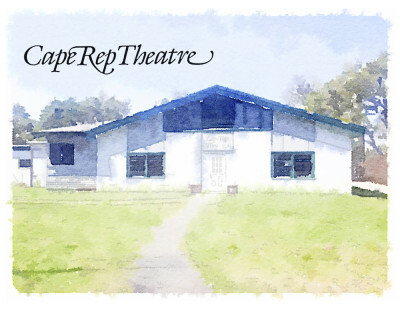 The non-profit Cape Playhouse was founded in 1927 by Californian Raymond Moore, who spent several summers in Provincetown painting scenery, writing plays and acting in local theatre. His vision, however, was to have a theatre of his own – a smart, sophisticated summer theatre, which would bring Broadway to Cape Cod. He purchased a 19th century former Unitarian Meeting House for $200, had it moved to 3 ½ acres of pasture land fronting the Old Kings Highway in Dennis, and converted it into a professional theatre. The Cape Playhouse has been kept true to its original structure – even the original pews still serve as seats. The opening performance on July 4, 1927 was The Guardsman, starring Basil Rathbone. Over the years, many big name stars from Broadway and the silver screen have acted there including Bette Davis (who first worked as an usher), Gregory Peck, Gertrude Lawrence, Lana Turner, Ginger Rogers, Humphrey Bogart, Tallulah Bankhead, Helen Hayes, Julie Harris, Paulette Goddard – it's no wonder the Cape Playhouse is known as "The Birthplace of the Stars. Many young aspiring performers spent their summers here. In 1956, a young student was given a small part in The Male Animal, starring Henry Fonda (his daughter, Jane)! Today, most of the stars still come from Broadway, but it seems that almost every well known star of stage, screen and TV has walked the stage of the Cape Playhouse. To educate the artist in the perception and use of color and light in representational painting. Through workshops, classes, and lectures we work to inform a new generation of artists, patrons, Provincetown residents and visitors about the teaching and enduring influence of American Impressionist Henry Hensche and his mentor Charles W. Hawthorne, founder of Provincetown’s historic art colony and the original Cape Cod School. In 1896 Charles Hawthorne became assistant instructor to William Merritt Chase at his Shinnecock, Long Island outdoor painting school where the lessons of the French Impressionists were first brought to American shores. In 1899 Hawthorne opened his own outdoor school in Provincetown, MA – the Cape Cod School of Art – the first school to teach outdoor figure painting. By 1915 Provincetown would grow into one of the largest art colonies in the world, attracting such luminaries as Childe Hassam, William Paxton, and Ernest Lawson. Artists who sought Hawthorne’s instruction included Emile Gruppe, Norman Rockwell, Max Bohm and Richard Miller. As a young student at the Art Institute of Chicago, Henry was enthralled with the strong, virile color in paintings done by some of his fellow students who had studied with Hawthorne in Provincetown during the summer break. Henry was 20 years old when he arrived at the Cape Cod School of Art, and he soon came to revere Hawthorne as a father figure. In 1928 Hensche became Hawthorne’s teaching assistant. He is listed in the 1929 brochure for the school – two critiques by Henry Hensche, Monday and Thursday – and a demonstration painting by Hawthorne on Friday morning, followed by a weekly critique on Saturday. The whole summer session lasted eight weeks and the cost was $50.00 for the season. Hensche painted in the tonal academic tradition of the times, however, his continued study of light and color slowly gave way to paintings of breath-taking beauty. Many painters of Henry’s generation were influenced by the strong currents of Modernism that emanated like a shockwave from the Armory Show of 1913. Though initially intrigued with the shifting fashions of the art scene that predominated in New York at the time, Hensche came to see the history of painting as an ongoing development in the progression of man’s visual vocabulary. Some of his first figure paintings had a narrative element similar to the Ashcan School, derived somewhat from Hawthorne’s portrayal of the working Provincetown fishermen and their families, but early on the poetic character of light and color emerged as the twin themes that would guide his painting throughout his life. As he told Robert Brown in a 1971 interview for the Archives of American Art, “Paintings are to teach man to see the glory of human visual existence”. For him art was, “…the arrangement of truth”. Hawthorne pointed the way to a greater realization of color in realistic painting yet it was for his student, Henry Hensche, to bring to fruition a complete transition from tone-based painting to paintings revealing the full spectrum of color. Classes and workshops taught by experienced artists trained in the unique method of seeing light and color taught by Charles Hawthorne and his student Henry Hensche. Most teachers have been trained by Henry Hensche. The Cape Symphony started as a community orchestra more than half a century ago. Since then, it has become one of the largest orchestral organizations in Massachusetts. Artistic Director and Conductor Jung-Ho Pak leads a polished and professional ensemble of 75 musicians, joined by emerging and world-class soloists to bring innovative and accessible programming to the community. Featured guest artists have included pianists Jon Nakamatsu, Freddy Kempf and Ignat Solzhenitsyn, along with violinists Joshua Bell, Jennifer Frautschi, Miriam Fried, Ayako Yoshida and Nadja Salerno-Sonnenberg. Virtuosos David Shifrin, clarinet, James David Christie, organ, and Paul Neubauer, viola, have also appeared with the orchestra. Jazz great John Pizzarelli, trumpeter Byron Stripling and soprano Megan Weston have energized Cape Symphony Pops concerts. The Cape Symphony season includes ten Masterpiece perfromances, twelve CapePOPS and a New Year’s Day concert, all held in the 1400-seat Barnstable Performing Arts Center in Hyannis, MA. During the summer, the orchestra performs to thousands of residents and vacationers at outdoor events. In 2010, the organization introduced Cape Symphony Presents Productions to bring more artists and cultural experiences to the community and support the Cape Symphony’s symphonic performances, currently funded through a combination of ticket sales, private donations, sponsorships and alternative fundraisers. Celtic fiddler Eileen Ivers, The Vienna Boys Choir and renowned cellist Yo-Yo Ma have headlined Cape Symphony Presents Productions. The Cape Symphony is highly committed to education. There are several programs related to the Season, including free concert talks and Master Classes. Through MusicWorks! Everday, the symphony brings an array of engaging programs to more than 14,000 students on the Cape and Islands. In 2010, the Cape Symphony merged with the Cape Conservatory, forming the largest arts organization in the community. In addition to musical instruction, the Conservatory offers classes in dance, art and drama for all ages at campuses in West Barnstable and Falmouth. Its Pre-School program is known for blending traditional academics with the arts. 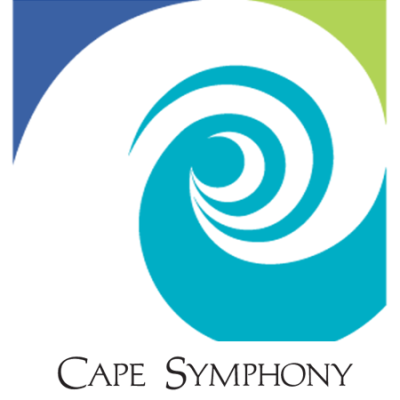 The Cape Symphony is governed by a 26-member Board of Trustees and has a staff of ten professionals. The organization is supported by exceptional trustees, generous sponsors and supporters and enthusiastic volunteers. 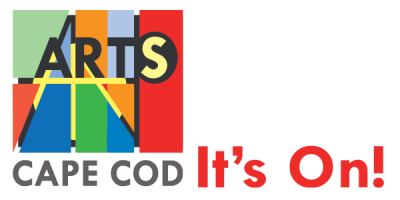 Cape Cod Collaborative Arts Network – CapeCodCAN! is dedicated to providing people with disabilities on Cape Cod access, inclusion and active participation in the literary, visual and performing arts. Through collaboration with Cape Cod agencies, organizations and individuals we are proud to say that that we have served hundreds of people with disabilities on the Cape over the last year and exposed many more via audiences to the wonderful talents of this population. Cape Cod Collaborative Arts Network – CapeCodCAN! 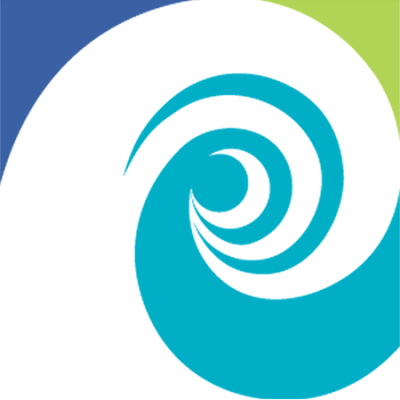 (www.capecodcan.org) is dedicated to providing opportunities for access, inclusion, and active participation in the literary, visual, and performing arts for people with disabilities on Cape Cod. Specific efforts are currently focused on inclusive art, music, theater, and writing programs. It has been proven that such an approach has tremendous benefits to the participants as well as the community as a whole. The Cape Cod Collaborative Arts Network is under the fiscal sponsorship of VSA Massachusetts (www.vsamass.org), which allows CapeCodCAN! to be treated as a charitable, non-profit 501©3 corporation, and receive tax deductible donations. The genesis of Cape Cod Collaborative Arts Network – CapeCodCAN! dates back to Valentine’s Day 2005, when a little boy named Roan, 6 months old at the time, endured a brain and eye injury which changed his life and the life of his family forever. However, Roan was born with an indomitable spirit and a love of music which have endured and transcend his injury (he is now 7 years old). That spirit infects everyone whom he meets. It inspired his retired grandfather to look for volunteer opportunities here on the Cape. Attending a Brain Injury Association of MA meeting, being held at the Cotuit Center for the Arts, and asked what he would like to do, he mentioned outreach as a possibility, having both a theater and business background. When a young man at the meeting, recovering from a brain injury, heard the word theater, he said that he had been in a production at Cape Cod Community College several years before and that it had helped his memory, speech, and self esteem. This was the “AHA” moment, when sitting in a building dedicated to the visual and performing arts and hearing the impact such arts can have on people with disabilities, the idea of CapeCodCAN! was born. Activities to Date include: 1. Broadway and Beyond – January 11, 12, 13, 2013, Cotuit Center for the Arts – a musical revue of song, dance, poetry and beyond…. Three sell out shows featuring nearly 90 performers representing 8 different Cape organizations. The show itself exceeded all our expectations and dreams. The warmth, joy, inspiration, and just wonderful entertainment from the show were felt by everyone in attendance: audience, performers and crew alike. 2. The Beatles at Riverview – April 18, 2013, Riverview School – Co-Sponsored by Riverview School – Two performances, one during the day for Riverview students, one in the evening for CapeCodCAN! Associates, Families, and Friends featured Tom Kelley noted entertainer and Beatles’ expert, who provided new insights nto the FAB Four with stories, videos and song. 3. Broadway and Beyond Revisited – June 7th, Sandwich Town Hall – Co-Sponsored by Friends of Sandwich Public Library – combined video and live performance recreated the show that received such high acclaim in January. Sponsored by CapeCodCAN! and Friends of Sandwich Public Library. 4. Veterans Program of Video and Writing – One of CapeCodCAN!’s volunteers is working with the Barnstable VA in developing a writing group. We are also collaborating with a veteran and a videographer in a possible documentary or stage performance combing writings and videos of veterans. 5. Art is for Everyone – Fall 2013 – an 8 week program of art lead by Cape Artists at different locations around the Cape with all participants working to a common theme culminating in a unified exhibit. 6. 2014 Musical Revue – May, 16, 17, 18, 2014, Cotuit Center for the Arts – we have been invited back to CCFTA to produce another musical revue after our very successful Broadway and Beyond show. The Cataumet Arts Center features fine art and artisanry by over 40 Cape Cod artists in the Artful Way gallery, as well as special exhibitions, classes and several working artists' studios open to visitors on the premises. Classes and workshops offered for adults, teens and children include painting, drawing, sculpture, pottery, fiber arts and more. Rotating one-person and regional group shows offer an in-depth view of the artists' process. The seasonal Artists' Circle provides an informal opportunity for artists to meet, network and share their work and artistic inspiration. Concerts, lectures, poetry readings, coffee house, the Artists' Forum and the annual Cataumet Artists' Fair offer a rich range of cultural and artistic experiences for artists and the community year-round. Our mission is to promote the Cataumet Schoolhouse building as a location for educational, cultural and recreational activities available to the community and the general public. Profile: The Cataumet Schoolhouse in 2011 Through sheer determination and optimism, a group of Cataumet residents banded together in the late 1990’s and turned a delapidated old (1894) school building at 1200 County Road, in the middle of the village, into a magnet for community events. In 1999 the Cataumet Schoolhouse Preservation Group (CSPG) was founded, and under the guidance of the Program in City and Regional Planning at the University of Pennsylvania, and the generosity of numerous donors and volunteers, the process was begun of restoring and refurbishing the building to replicate as authentically as possible an 1894 schoolhouse. Today the flag flies over the beautifully restored building, and for the past half dozen years the school and schoolyard have been host to hundreds of visitors and participants at a variety of fun and fascinating events and programs. The mission of the CSPG was clearly stated at the outset: “To promote as a location for educational, cultural and recreational activities available to the community and the general public, the Cataumet Schoolhouse building.” In the past years a wide range of events have been held, and the board is still seeking ways to expand the effectiveness and community-building capacity of this small property, in accordance with its mission. Among the varied events have been soapmaking for kids, art shows co-sponsored with the Cataumet Arts Center, craft shows, flea markets, weddings, talks on local history, raffles and cookouts, among others. This year’s special events will include the Antique Auto Show and Picnic (Aug. 7), Tuesday Talks on “Lands and Landscapes of Cape Cod” (Aug. 2, 9, 16, and 30), and the popular Holiday Fair (Dec. 3). The Catumet Schoolhouse is also ideal for a program that recreates the atmosphere and setting of a traditional, one-room school. The antique desks are arranged with the littlest ones in the front, and a nineteenth century US map hangs on the back wall. Portraits of Washington and Lincoln look down from the walls above the original blackboards. The teacher’s desk is equipped with an inkwell and an old handbell, probably used in a similar school to call the class to order. Throughout the fall, third grade classes help fulfill their history requirement by visiting for a day of first hand experience of what it was like when countless American children went to school in one room schoolhouses. Re-creations of traditional area studies, activities, and games are presented by board members (who are often retired grade school teachers, themselves). It is hoped that such experiences might help kindle a fascination with history, and the past more generally, which can become a lifetime preoccupation. Such visits to the schoolhouse are worth more than a thousand words in helping kids understand “the way it was.” Thanks to goals shared with other local organizations, such as the Bourne Conservation Trust, Cataumet Arts Center, and Cataumet Civic Associates, the CSPG is helping make the village a more vibrant and exciting place to live and visit. In 2009 a partnership was formed to found and run the Valley Farm Thrift Store, establishing a source of income to help defray expenses, but the Cataumet Schoolhouse still depends on the generosity of residents and visitors for its operating budget. To get on the mailing list for our annual Newsletter or for announcements of programs and activities you may visit www.cataumetschoolhouse.org ; visit us on Facebook: Cataumet Schoolhouse , or call 774-238-0007. Or best of all, come and see us! Through a partnership with the Bourne Public Schools, we provide informational field trips for the third grade students throughout town to help students and teachers fulfill their history requirements. We provide classroom visits, followed by visits to the schoolhouse another day. We also sponsor a Lecture Series in August (Tuesday Talks) on various topics. This year’s theme will be The Nature of Cape Cod. Refer to our Calendar of Events as well as other activiies sponsored by our organization. Welcome to Chatham, Mass, USA located on the elbow of Cape Cod, half way between Falmouth and Provincetown. Our seaside community of 6,700 year-round residents offers a variety of exciting outdoor, cultural, and historical activities as well as all of the convenient services comfortable daily living. Our website tells you what is going on in Chatham and provides you with lists of local businesses, services and non-profit organizations. The Event Calendar allows you to explore community events throughout the year. You will also find useful facts all about Chatham, its history, helpful contacts and Town services. 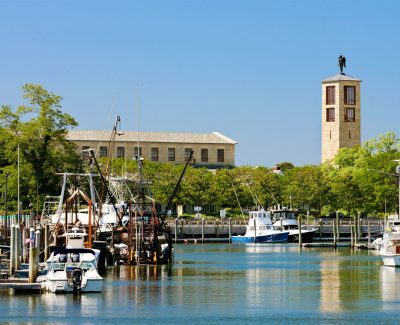 The Chatham Chamber of Commerce is pleased to provide you with this informational resource of Chatham. If you do not find all the answers to your questions on this site, our dedicated staff is ready to assist you. They are located in our Visitor Information Center, which is open year-round at the David T. Bassett House on Route 28 at the corner of Route 137 in South Chatham. The downtown Information Booth in front of the Town Hall on Main Street is open from May – October. To order the Official Chatham Visitor Guide, please call us at (508) 945-5199 or (800) 715-5567 extension 10. To order a copy online click here , complete the online order form, at the bottom of the form be sure to click on "Request Guidebook" and your order will be placed. Whether you live here year-round or are visiting on vacation, the Chamber is here for you. We hope you will visit us often, both online and in person. Thank you for your interest in our community. Chatham Chorale recently appointed T. Joseph Marchio as its new director replacing Margaret Bossi who retired in July 2010. Mr. Marchio is a highly qualified musician who brings significant exprience in choral direction to the organization. In presenting some of the world’s best-known choral works through concerts and collaborations, Chatham Chorale offers opportunities for its singers and audience members from every Cape Cod town and beyond to be involved in learning about, promoting and appreciating the musical arts. The Chatham Chorale wants its audiences to feel integrated in the concert programs it offers; to become part of the emotional, inspiring and uplifting experience that can happen when a group of the oldest musical instruments – human voices – gather together to sing. Additionally, it funds an annual scholarship for local students pursuing a musical education. The Chamber Singers of The Chatham Chorale are a group of thirty plus voices under the direction of Joseph Marchio. They will perform two formal concerts this 2010-2011 season in addition to numerous community service appearances. Our Mission The Chatham Chorale is committed to providing opportunities for a culturally and age diverse group of singers to study, rehearse and perform quality works accompanied by professional soloists and musicians. Our History The Chatham Chorale, founded in 1970 by Marjorie Bennett Morley and Dr. E. Robert Harned, draws its one hundred auditioned singers from almost every Cape Cod town. For its first seventeen years of membership, repertoire and reputation grew under the inspired and dedicated leadership of Ms. Morley. In 1987 Margaret T. Bossi became Music Director. Upon her retirement in July, 2010, Mr. T. Joseph Marchio, a resident of Harwich and current Minister of Music at the First Congregational Church of Chatham, was appointed the Choral’s third Music Director. A highly qualified musician, who brings significant experience in choral direction to the organization, has planned an excellent year of concerts to be performed by both the Chatham Chorale and the Chamber Singers. As 'stewards of the regions’ history and culture, the Chatham Historical Society strives to educate, inform and enlighten the public, and bring attention and enthusiasm to the Cape Cod community. The Orpheum Theater opened in 1916 as Chatham’s first and only movie house. Our Main Street movie theater was a magical place for 72 years — a year-round destination where generations of Chatham families and summer visitors could enjoy gripping dramas, slapstick comedies, joyous musicals or swashbuckling adventure films week after week. In 1938, the building was purchased by Interstate Theaters Corporation and was known as the Chatham Theater until 1987, when it ceased operations. The entire town mourned the loss of this iconic Main Street treasure, but the tradition was never forgotten. Now it’s back, better than ever! The return of the Chatham Orpheum Theater began in November 2011, when a grass roots movement formed a non-profit organization to buy the historic building at 637 Main Street in April 2012 and restore it as a state-of-the-art two-screen cinema featuring an attendant café in 2013. Led by president Naomi M. Turner and a local team of volunteer professionals, Chatham Orpheum Theater, Inc. has raised more than $3.6 Million in donations from individual citizens and private foundations, plus major grants from the Town of Chatham and the Massachusetts Cultural Council. The Chatham Orpheum Theater opened to the public as a non-profit cinema on July 26, 2013 … bringing movies back to Main Street in the most state-of-the-art movie theater on Cape Cod. Every facet of this jewel box movie house and cultural center is unique, affordable, and community driven. The Orpheum is a quality cinema with two screens with 3-D capability, 6.1 SurroundSound© audio, and extremely comfortable seats with widely-spaced aisles. We feature first-run major motion pictures plus art house films, independent productions and documentaries, including locally-produced films. In addition, the Orpheum offers creative alternative programming for children, elders, and families. You’ll find all the traditional concessions (including popcorn with real butter!) plus a delightful array of unique treats created by local Chatham confectioners. Movie-goers may also enjoy a glass of wine or beer from Vers at the Orpheum, our lobby café boasting a full menu of exceptional offerings with an emphasis on natural, seasonal, local ingredients … utilizing what is flavorful and familiar to the contemporary palate. The Orpheum’s interior is tastefully designed in traditional Cape Cod style, and the vaulted lobby showcases great works of created by notable local artists, including Hans de Castellane’s signature mural, The After Party. The Coast Guard Heritage Museum at the Trayser opened its doors for the first time in May of 2005. Two former Navy men, CDR Maurice Gibbs (ret) and Lou Cataldo, a local historian, were the driving forces behind the initial idea. CDR Gibbs, President Emeritus of the Nantucket Lifesaving Museum, suggested that the museum should be named in honor of the USCG. The group expanded when three former Coasties – Jim Walker(USCG), of the American Lighthouse Foundation, Albert L. "John" Manning(USCG), and CPO Dan Davidson(USCG) -the last two charter members of the Eastwind Association – came on board. John Manning eventually served as President of the organization. Capt. Robert L. O'Brien (USCG Ret), former comptroller of the USCG, was a charter member. The museum site is owned by the town of Barnstable, Massachusetts. In addition to the museum building, which is a former US Custom House and was later a Post Office, the property includes the Village Smithy, a working blacksmith shop with daily demonstrations, and "The Oldest Wooden Jail in America". The Jail was relocated to the site from another site nearby, and has recently been opened to visitors. We are open Tuesday through Saturday from May to October. Our hours are 10 AM to 3 PM. Admission is $5 for adults. Active duty USCG personnel and children under 10 are free. A cooperative gallery showing fine arts and crafts handmade by Cape Cod artists. The College Light Opera Company is an independent non-profit educational theatre produced by Robert A. and Ursula R. Haslun now in its 46th season. The Company seeks to provide high-quality musicals and operettas to summer audiences on Cape Cod, while at the same time giving young talent from across the country a chance to begin a career in music theatre. Located in Falmouth on Cape Cod, Massachusetts since its founding in 1969, the company performs nine operettas and musicals each season with full orchestral accompaniment. CLOC is one of the only summer theatres that performs with a full pit orchestra. CLOC is the largest resident theatre company in the United States. The 86 members of the company spend the summer working in a professional atmosphere free of other academic responsibilities. The company performs at the air-conditioned Highfield Theatre in Falmouth and plays to enthusiastic standing-room-only audiences throughout the season. The Community of Jesus is an ecumenical Christian community in the Benedictine monastic tradition located in Orleans MA. Cotuit Center for the Arts is an award-winning, dynamic arts and cultural center that attracts visitors from around Cape Cod, southeastern Massachusetts and beyond. It provides free and paid programming including art exhibits, theater productions, musical events, educational programs, and numerous other events throughout the year. The Center collaborates with Cape Cod artists, musicians, actors, teachers and volunteers to provide a rich experience to over 30,000 attendees each year. Our Mission: Educate, Entertain, Illuminate, Inspire The arts are essential. Our mission is to be a welcoming hub for Cape Cod’s artists, performers, students, and audiences, working together to make the creation and experience of art accessible, nurturing, and thrilling to all. Creative Arts Center in Chatham provides a vibrant educational resource for all ages where the visual arts are explored and celebrated through classes, exhibitions and special events including; the Festival of the Arts in downtown Chatham, year-round classes, workshops, and demonstrations conducted by outstanding local and nationally known artists, and two art galleries which are open year round with changing exhibitions each month. The Center’s facilities include two galleries, painting studios, a pottery studio with 10 wheels and 2 kilns, a jewelry studio, extensive art library and a children’s art room where more than 800 students attend over 80 classes and workshops each year. Open Monday through Saturday. M-F 9-4pm, Sat. 10-2pm. Cross Rip Gallery represents outstanding Cape Cod Artists——emerging and established. Abstract and Figurative art—-expect the unexpected! Dave Parish Studio is the studio of artist Dave Parish located in Wellfleet, Ma. Dave creates oil on canvas paintings that reflect the mood and imagery of coastal living. They are the result of his appreciation of living by the sea; of nature and sometimes unintentional or unexpected beauty. Dave Parish Studio is open to view paintings by appointment by calling 508-349-5181 and arranging a time. Many original paintings are available for sale and some older inventory at discounted prices. Commissions are also available for that special landscape or seascape location that you would like a painting of.